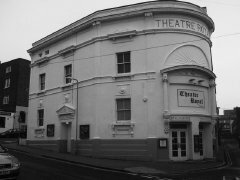 Experience a night of ghost hunting at Theatre Royal with Ghost Hunt Events on 15th June 2019, 8:30pm until 2:00am. Tickets £35 per person. 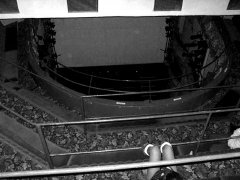 View all our evidence from Theatre Royal. 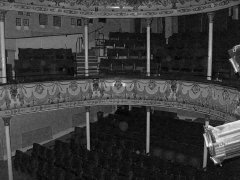 Read our Investigation Reports from previous Theatre Royal ghost hunts. Thank you for a great evening at the Theatre Royal last Friday...thoroughly enjoyable as well as enlightening. My favourite activity was the group circle....an experience I won\'t forget! Also listening to the voices/sounds picked up, was fascinating. Had an amazing night thank you! Thanks for another brilliant night!! Fantastic night at the theatre royal last week! My family and I really enjoyed the whole evening. It was our first experience at doing anything like this. Not knowing what to expect we had a great night...All the team were great. I was a little worried they might get scared but the team were very professional. Thanks for an enjoyable evening, the highlight being the table tilting on the stage to 45 degrees, almost to order. I wish it had been filmed.